Christine’s collection of spice pastes and condiments are designed for the home cook, as a valuable time saving device and to give a speedy and authentic flavour boost to a whole variety of dishes. 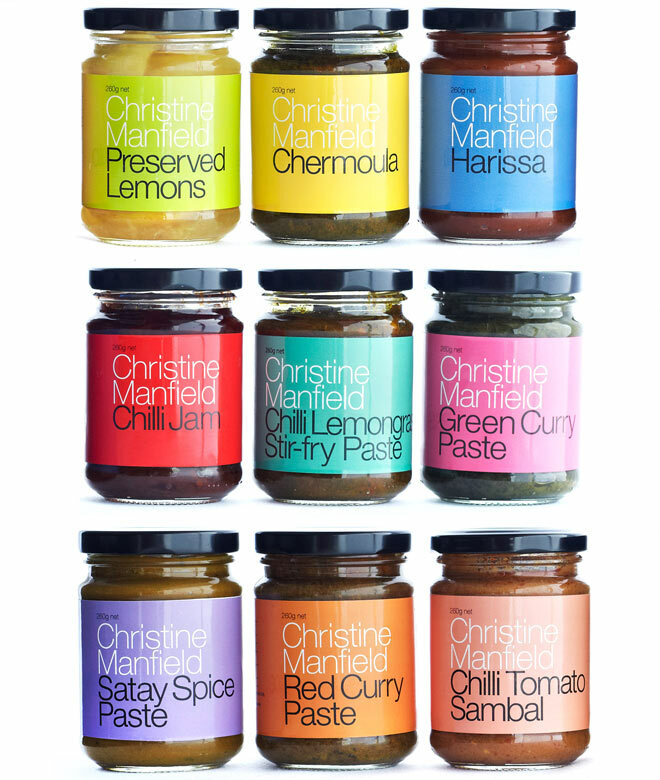 The Christine Manfield Spice Collection brings the finest flavours and spice pastes to a wide variety of consumers from professional cooks, who can almost have a night off the stoves just by opening a jar; to single dwellers, who want something quick and simple; to a family who loves a weeknight curry. This affordable range of spice pastes and condiments are essential items to have in the pantry for when you want add flavour fast. The Collection is gluten-free and completely natural – there are no genetically modified ingredients or added colours, flavours or preservatives.